The Marvel Cinematic Universe is losing one of its original stars. Gwyneth Paltrow, better known as Pepper Potts from the Iron Man movies, confirmed that she is exiting the franchise after Avengers: Endgame. Paltrow confirmed the news in an interview Variety, which marks the end of a decade-long run as Tony Stark's confidant and girlfriend. She first appeared in 2008's Iron Man and returned in its subsequent sequels and also showed up in a couple of Avengers movies, with the most recent being a quick interaction with Tony Stark in Avengers: Infinity War that alluded to possible marriage. "I'm a bit old to be in a suit and all that at this point," says Paltrow. "I feel very lucky that I did it, because I actually got talked into it. I was friend with [Iron Man director] Jon Favreau. It was such a wonderful experience making the first Iron Man and then to watch how important it became to fans." Paltrow's retirement may give us a hint at the plot for Avengers: Endgame. With her status post-Endgame set, this sets up some finality for the story arc. She could drive off into the sunset with Tony Stark as a married couple or she could exit due to Tony Stark's death, which has been a strong topic of theory discussion. 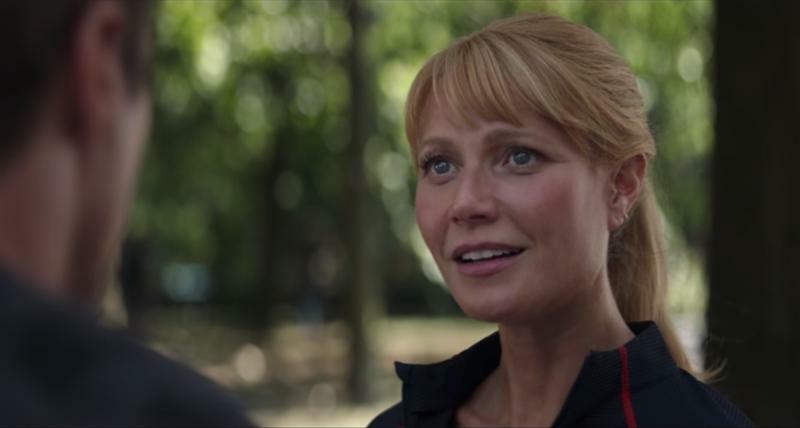 Regardless of whatever happens in Avengers: Endgame, one thing is for sure, it will be Pepper Potts last appearance in an MCU movie.